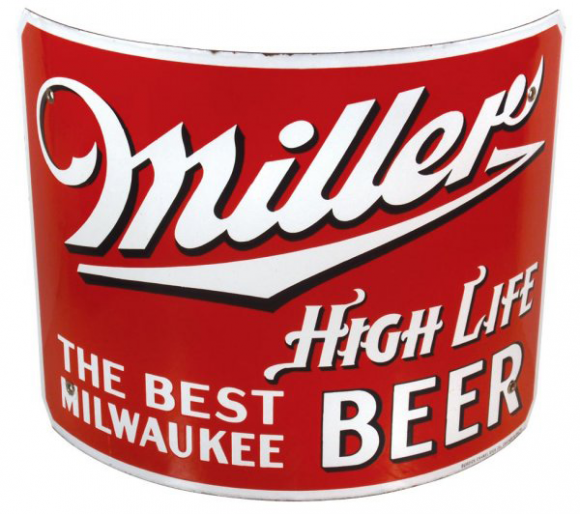 This is a curved rectangular Miller High Life Beer porcelain sign. This particular Miller High Life Beer sign is red with white text. It reads, “Miller High Life Beer, The Best Milwaukee”.